Stock image of a nice law-abiding eagle, unlike those in the Hays nest. The City of Pittsburgh is in a state of utter consternation after one of its (formerly) favorite residents – a Hays nest bald eagle – killed a cat and proceeded to shamelessly eat it right in front of a webcam that had up until then provided joy to so many. Pittsburghers like Patti Bosko of the Perry North area of the city can’t believe the predatory bird she invested so much of her heart and soul in would do something like this. As if the egregious act of murder followed by the public consumption of its victim wasn’t enough, the depraved adult eagle then had to go and make its despicable act ten times worse, according to Tom Oldman of Stanton Heights. The Audubon Society of Western Pennsylvania, which sponsors the webcams, initially responded by noting that this was simply a case of nature at work. However, after a maelstrom of outraged Pittsburgers condemned the statement as callous and threatened to take action, the organization quickly changed its tune. 20 Comments on "Hays Nest Eagle Horrifies Pittsburgh By Behaving Like Wild Animal"
Uh, did you know this is a comedy satire website. To clarify, the stories on this site are FAKE NEWS MADE UP for your entertainment. Sheesh. Cats kill and eat birds. Turnabout is fair. If it’s a bald eagle, legally you CAN NOT touch or interfere. Obviously. I mean, why else would we get these serious comments? RIP, humor. We shall sincerely grieve your passing. When I read the article, my first reaction was that it was comedy. Then I read some of the comments (!!) These idiots are for real! What, are wild animals only “allowed” to BE and Act like “wild animals” on the National Geographic Channel on TV? Grow Up, People of Pittsburgh. “It’s the breach of trust that I find hardest to forgive,” Patti Bosko? Really??? Don’t you trust wild animals to behave like wild animals? Or is it the breach of trust that your brain is in the “ON” position that has you so upset? And The Audubon Society of Western Pennsylvania should be ashamed of itself. You are there to EDUCATE people – Not to Dummy-Down your responses to make people feel better and to think you’re a Compassionate Society. I can’t believe that people would act this way. It’s an embarrassment to say that I am from Pittsburgh. Seriously? Like the eagle knows that it should hide from the camera to eat dinner. Get a grip. I sure hope this is a joke! If not, it’s really sad! These are animals, not people! BE horrified what people do this, not animals! “Sometimes you’re the windshield: sometimes you’re the bug!” Momma eagle has to feed her young. We feed our young with other animals. Other animals eat each other. Just be proud that Pittsburgh has a beautiful endangered species flying around and has picked the Burgh for it’s home. Out here, We have coyotes eating house pets; we have cougars eating anything they can catch; we have hawks eating bunnies; and it goes on , and on…. We have Democrats eating socialists. We have osprey eating baby geese. We have heron eating lots of live stuff including ducklings. Nature is UGLY like Donald Trump. I leagle had nt fish and ear carian. Itsnt it possible that the eagle foun it dead? As a proud veteran of the U.S Army I can honestly say I generally like animals more than I like people-I’m particularly fond of cats…That having been said I hope the cat was feral and not somebody’s pet. Nature is not always pretty-just like people but you have to respect it. These are the same people that won’t eat deer but have no problem wolfing down a steak. Animals eat other animals every day, that’s how they live, it’s called nature. Are these people for real?? 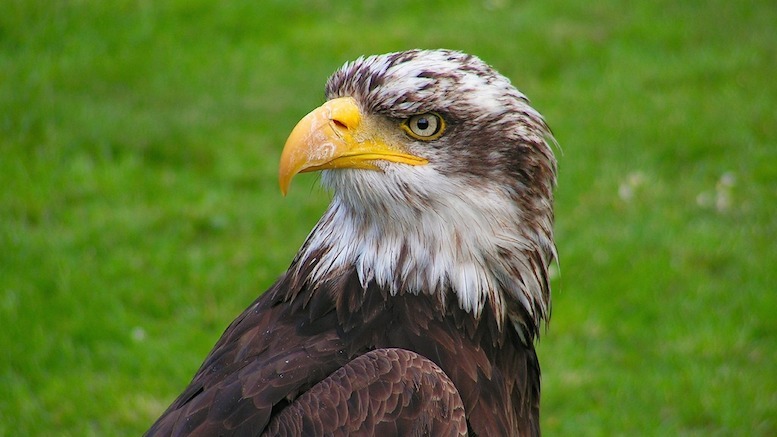 The eagle is a bird of prey and will catch small animals and rodents!! Eagles or any other wild animal does not know morals like humans. Yes watching it may be disturbing so you turn it off and don’t watch!!! What do you expect the Eagles to eat….grass?? Come on get real!! I hope the first 2 comments are satire too. Mr. Yanda and Mr. Tavormina need to purchase a dictionary. So hilarious how many people don’t know what ‘satire’ means. Oh, I weep for humanity. THE EAGLE IS AN ANIMAL DOING WHAT IS NATURAL. YOU CANNOT ASSIGN HUMAN MORALS TO A WILD ANIMAL. I THING THE AUDUBON SOCITY SHOULD BE ASHAMED TO CAVING INTO IDIOTS.